ARQ have won ‘Jazz Ensemble of the Year’ in the 2018 APPJAG Parliamentary Jazz Awards 2018. Other nominees were Dinosaur, Ezra Collective and Beats & Pieces Big Band. Thank you to everyone who voted for us, it’s an honour given the wonderful groups also shortlisted. 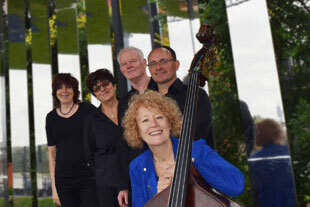 ARQ topped the Peoples vote at the British Jazz Awards where Alison Rayner was also runner up for Bass Player of the year. 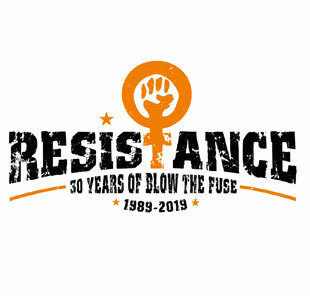 This year Blow the Fuse celebrate 30 years. 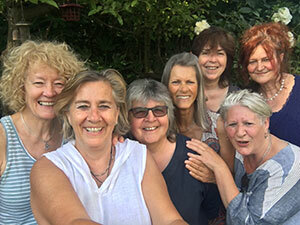 Started in 1989 by musicians and composers Deirdre Cartwright and Alison Rayner who were members of the internationally acclaimed jazz group The Guest Stars, BTF have played a crucial role in raising awareness about women jazz musicians and importantly giving them support, a space and opportunity to perform in times which have sometimes been very challenging. They have been very much part of the new resurgence of jazz musicians, which contain many talented young women. Beginning in 2012, Blow the Fuse seasons Tomorrow the Moon ‘one small step for women’ have featured groups led by composers Laura Jurd, Yazz Ahmed, Laura Cole, Dee Byrne, Sophie Tetteh, Lauren Kinsella, Roz Harding, Nikki Iles, Shama Rahman, Daphna Sadeh, Flo Moore, Chelsea Carmichael, Camilla George and Nubya Garcia. They’ve have managed many UK jazz tours with new musical works, innovative collaborations and educational projects and they run the Blow the Fuse record label. 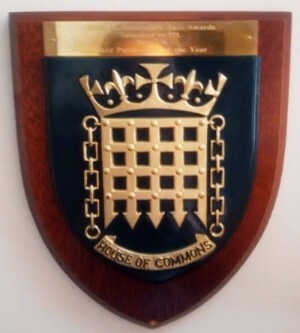 Blow the Fuse were shortlisted for the Services to Jazz award (outstanding contribution to jazz in the UK) in the 2018 All Party Parliamentary Jazz Awards. Congratulations to winner Jill Rodger and all her work on the Glasgow jazz festival. Performances for the ‘Resistance’ season take place at the Vortex Jazz Club and the Old Church on Stoke Newington Church Street. See our gigs page for details on all our events.